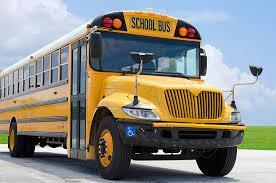 The transportation block grants the state of Montana pays to school districts is one of the sources Governor Steve Bullock is considering removing to help fill the state’s budget shortfall. Eliminating the grants in 2019 would save the state nearly $12 million. But not all the school districts have a reserve fund to fall back on, and others that do can’t sustain the loss over an extended period of time. Montana Legislators are considering a temporary increase in lodging and car rental taxes to preserve some government services slated to be cut to address Montana’s projected $227 million budget shortfall. 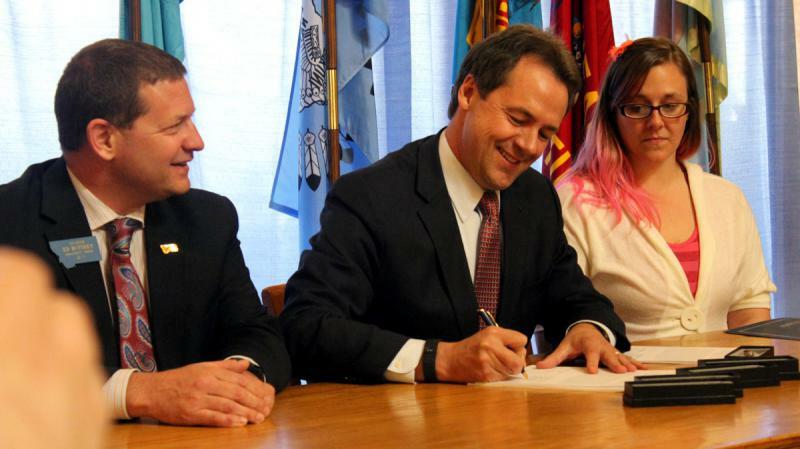 It's part of a 3-prong approach sought by Governor Steve Bullock that also includes budget cuts and fund transfers during the special Legislative Session that officially convenes Tuesday. 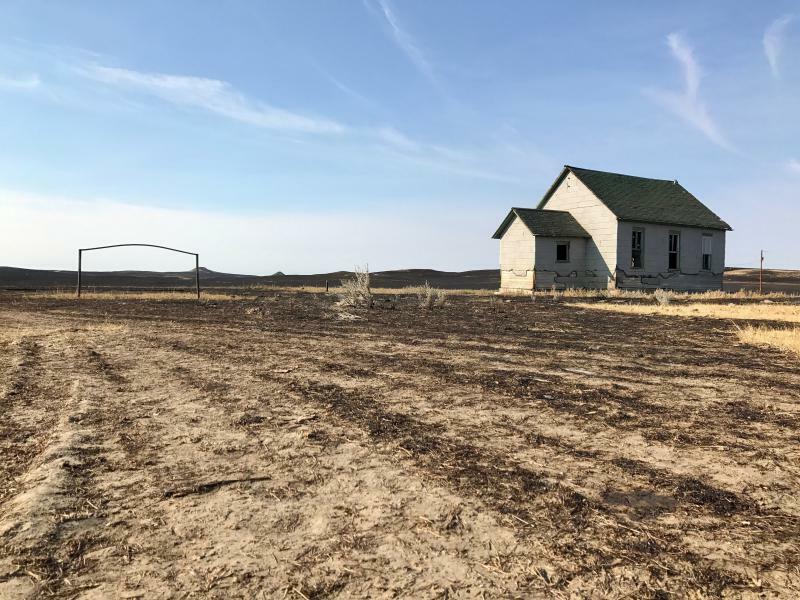 State climatologist Kelsey Jencso says what folks are seeing this summer -- extreme fires, sudden droughts, snowpacks melting quickly -- may be a vision of Montana’s future. 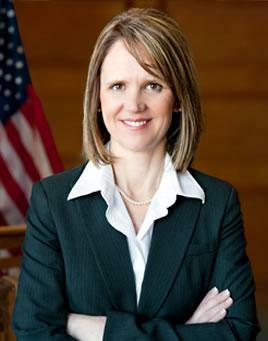 After almost five years on the job, Montana’s Commissioner of Labor and Industry, Pam Bucy, is moving into the private sector. “I’m going to stay in Helena. I’m going to join a law firm, The Taylor Luther Group. We’ll be focusing primarily on business and employment law and government relations,” Bucy says. 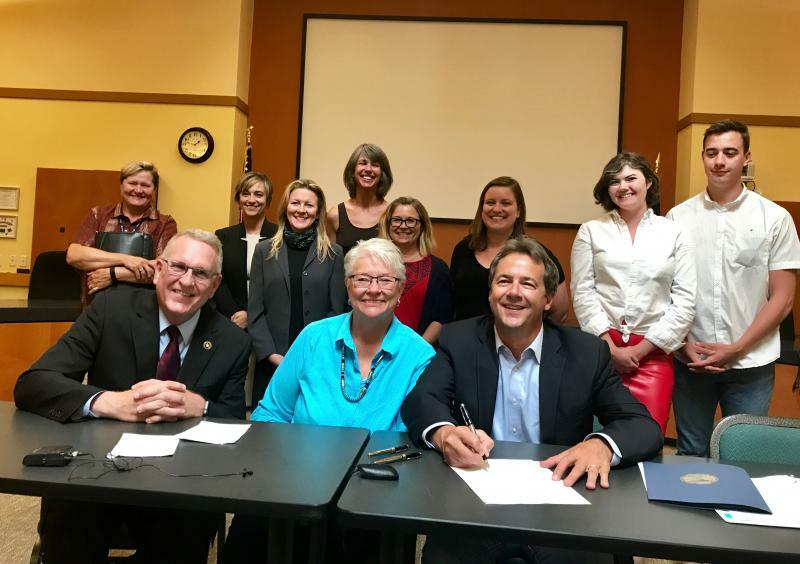 Attorney General Tim Fox joined Governor Steve Bullock in Missoula today for a ceremony to sign six bills updating Montana’s sexual assault laws. They posed with Missoula Democratic Senator Diane Sands, who carried two of the bills, the most prominent of which removes force from the definition of sexual assault. 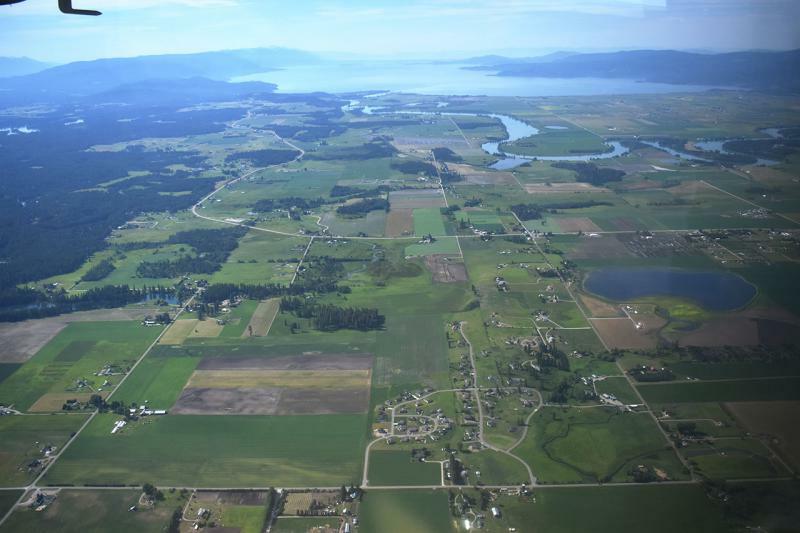 From above, the northern Flathead Valley is a patchwork of yellow fields of canola, green tracts of grains and wandering curves of cerulean rivers. Heavily forested mountains erupt from the valley floor, some of them still scared by clear cut logging from decades ago. "This area obviously has got multi-uses," says Bruce Gordon, a pilot for EcoFlight, a nonprofit based in Colorado that uses flyovers in small aircraft to advocate for protecting wildlands. He’s in Whitefish this week to fly western governors over northwest Montana, to give them a visual as they talk this week about land management. Whitefish joined a growing number of U.S. cities pledging to uphold the Paris Climate Agreement Monday night. Citing potential threats to human health, ecosystems and the economy, Whitefish Mayor John Muhlfeld said the city will make mitigating climate change a priority. 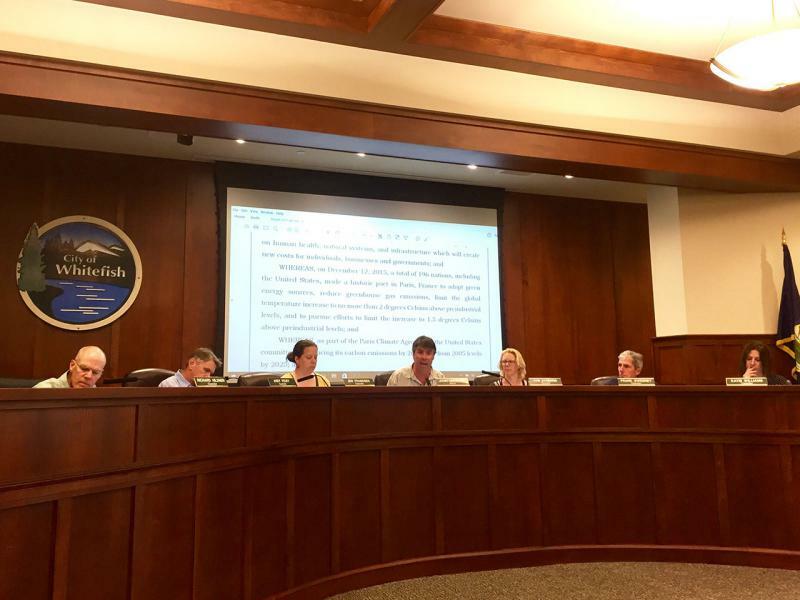 "The City of Whitefish will increase its efforts to cut greenhouse gas emissions, create a clean energy economy, and stand for environmental justice," Muhlfeld said. 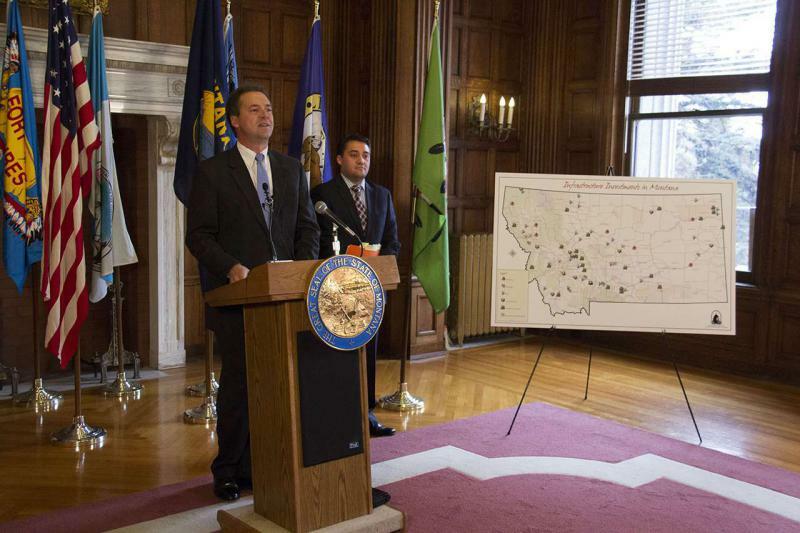 Governor Steve Bullock has joined a bi-partisan group of six other governors asking Congress to overhaul the existing Affordable Care Act, rather than replacing it with one passed by the U.S. House. 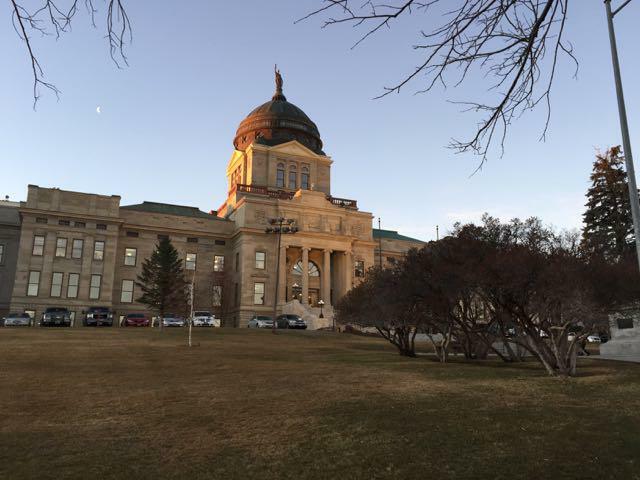 State revenues have again fallen short of lawmakers’ expectations and could trigger funding cuts across state agencies in the coming months. 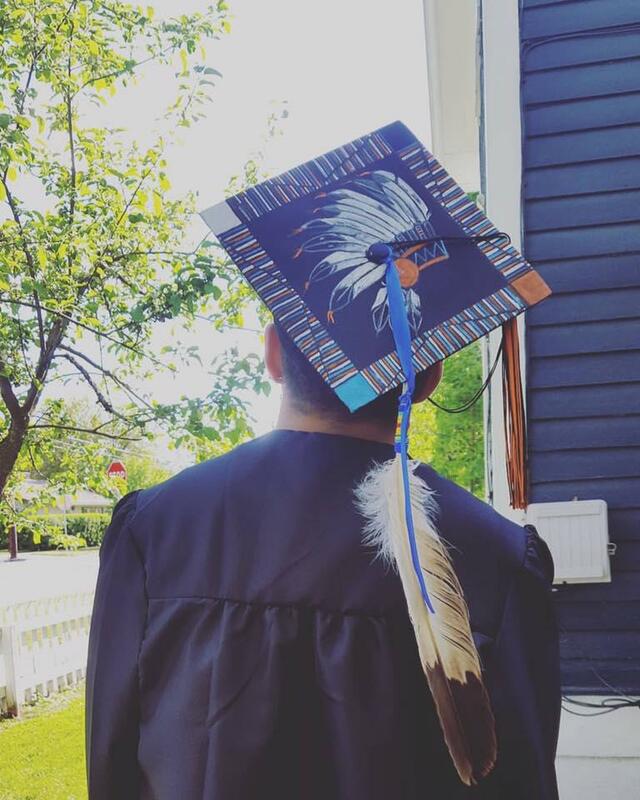 Graduation ceremonies this spring became the testing ground for a new state law that protects tribal members’ right to wear regalia at significant public events. Most have gone off without a hitch — students across the state are receiving their diplomas in beaded caps and gowns, but schools are still trying to figure out how to implement the new law.